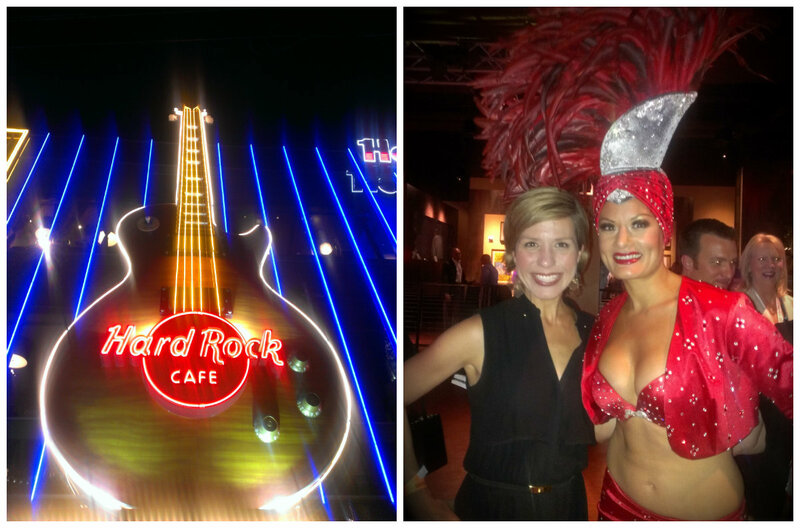 I was happy once my workday ended and I could join her for some more fun in Sin City! The convention I was in Las Vegas for was hosting a welcome reception party at the Hard Rock Cafe and Teresa and I were given comp tickets to attend. Score! This fit in perfectly with our crazy goal of eating at all of the Hard Rock Cafes on the planet (good way to see the world, no?). I had to work the first thirty minutes or so of the party but was eventually let loose to head upstairs and grab some food and drink. The party took over the entire restaurant and both floors were packed with people! The food selection wasn’t quite as impressive as I was hoping but we ate a few morsels before heading into the photo booth for some fun. 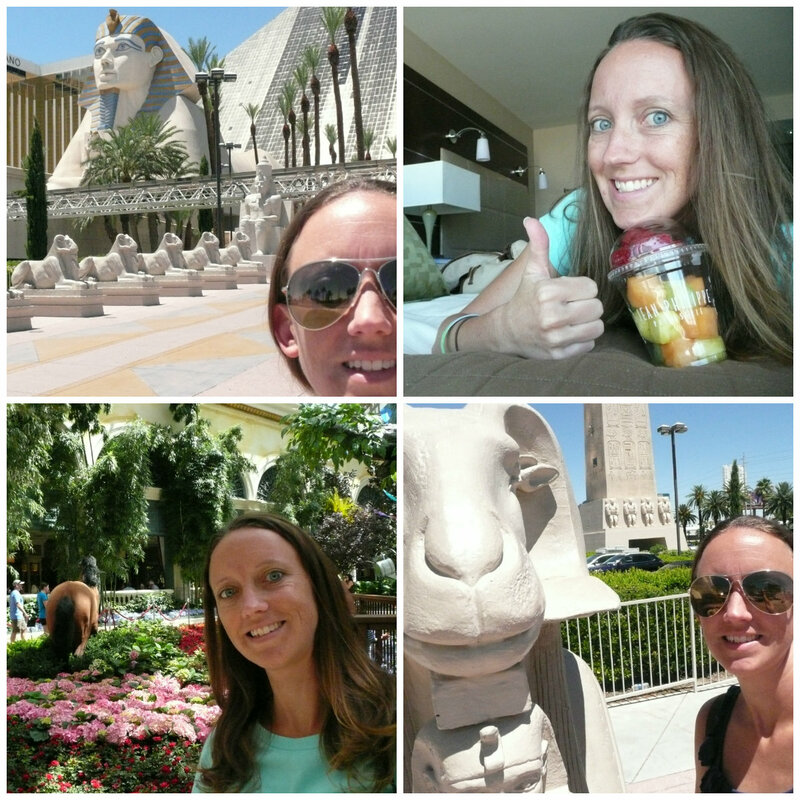 We didn’t stay and endure the crowds very long, but headed out after a bit to explore some more of the Strip. We visited the MGM Grand and put a few coins into the slot machines, then headed across the street to visit New York-New York. The late nights and early mornings were starting to catch up with me so we left New York-New York to head back to the Aria, stopping along the way to take advantage of some photo ops. As it had been awhile since our meager dinner at the Hard Rock Cafe, we decided to splurge on some dessert once back at our hotel. 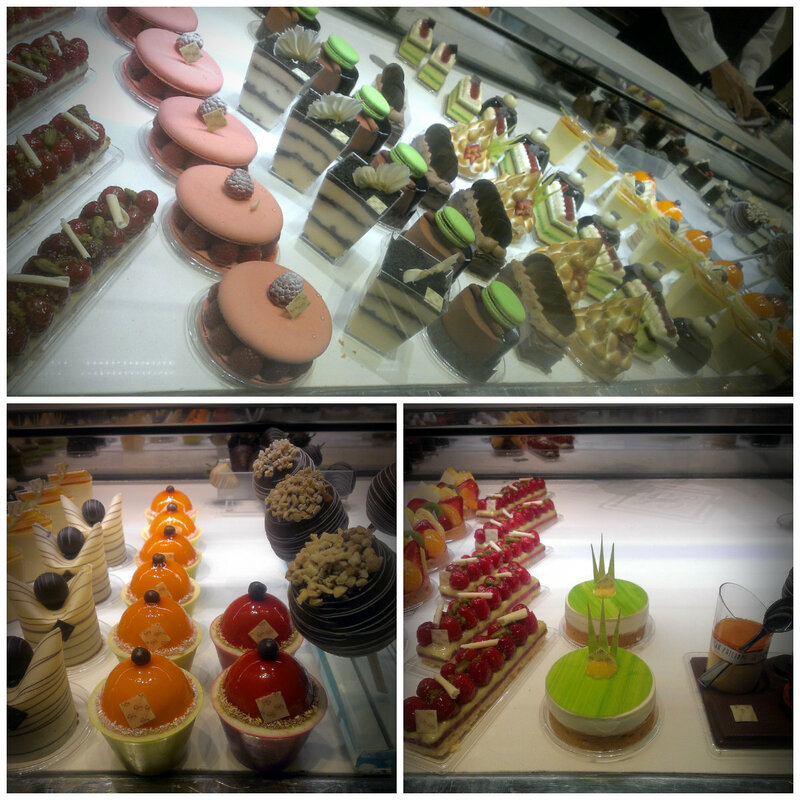 We made a bee-line for Aria’s Jean-Philippe Patisserie and stood at the glass display case trying to choose from the incredibly amazing looking sweet concoctions. I mean, seriously?!? These are works of art – not food! I selected a ridiculously yummy cheesecake wrapped in white chocolate and Teresa had chocolate, layered with chocolate, covered in chocolate, and garnished with chocolate. And a macaroon. 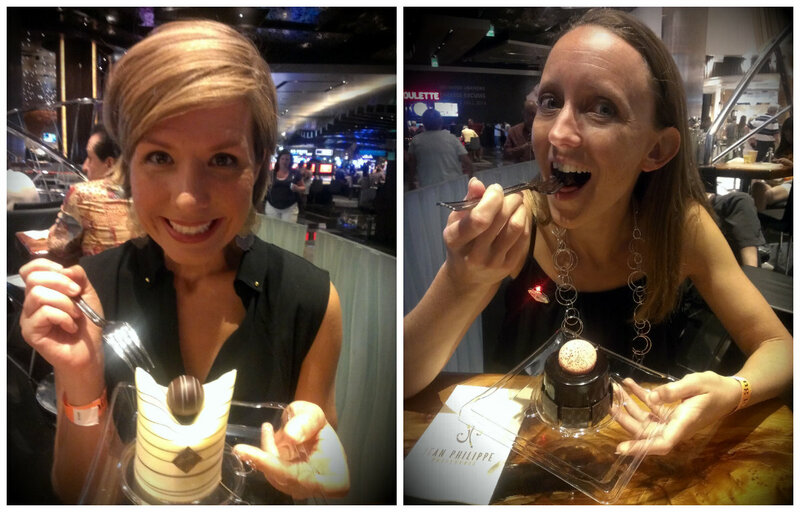 A perfectly “sweet” way to end another day in Las Vegas! After I finished up with work for the day, Teresa and I spent some time in our room looking at restaurants online and trying to decide where to dine that evening. Since our dinner the evening before had been free, we thought we would eat somewhere a bit nicer today. Well, “nicer” in Las Vegas translates to “$$$$$”. We finally decided to head to The Mirage as I hadn’t visited there yet and it appeared to have quite a few restaurants offering summer dining specials. Let me just pause for a minute and say that while in this city I was absolutely amazed at the number of characters walking the streets. And by “characters” I literally mean characters: Captain America, the Minions, Ironman, Olaf, Darth Vader, Thor, Elvis Presley, Batman, Spiderman, Homer Simpson, the Gladiator, Mario & Luigi, showgirls (who are not “real” showgirls as I was informed by a “real” showgirl)…just too many to remember or list. 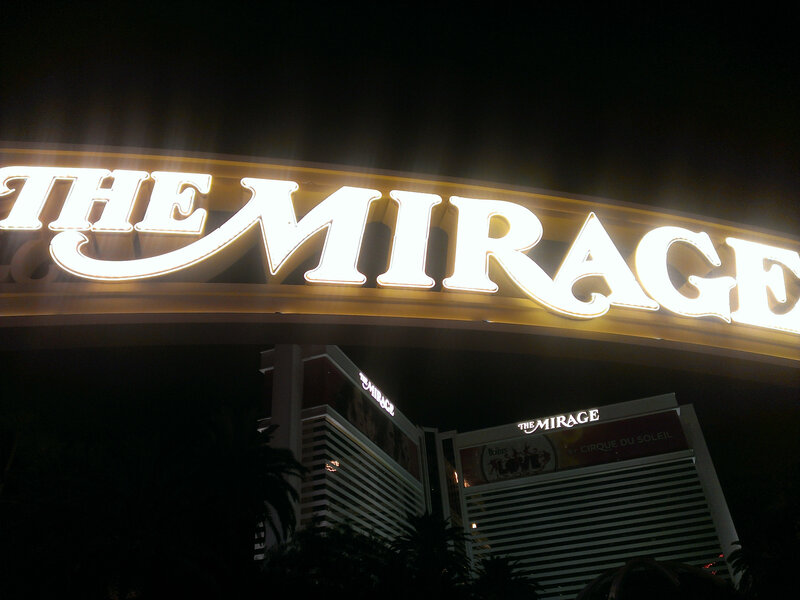 Anyway, we finally finished our trek through the 100º heat (I’m thinking Las Vegas residents must take multiple showers each day during the summer…) and made it to The Mirage. We quickly found our first restaurant choice and…it was closed on Mondays. No worries though – there was still our 2nd choice! Closed on Mondays. Third choice? Closed on Mondays. Fourth choice? Open!! Half empty dining room!! Not seating anyone else this evening. Was this some conspiracy?? 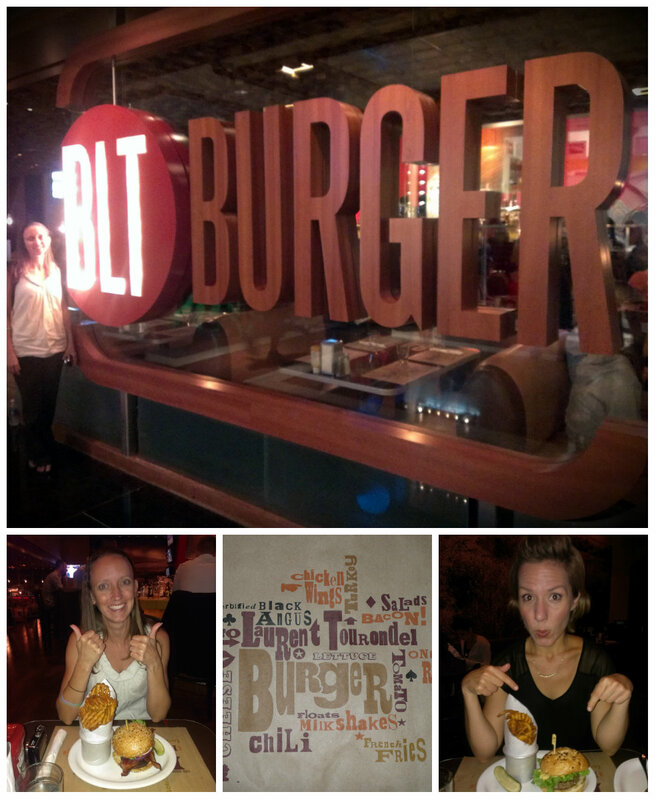 We were both really hungry at this point so we decided to scrap our “nice dining experience” this evening and just grab a seat at BLT Burger. This actually ended up being a wonderful choice and we had a great time and both thoroughly enjoyed our burgers and fries (plus salad for me). We exited The Mirage just as the volcano in front of the hotel was starting to erupt. We got as close as we could (not close) and watched the flames and “lava” spew from the volcano to the beat of native drums. 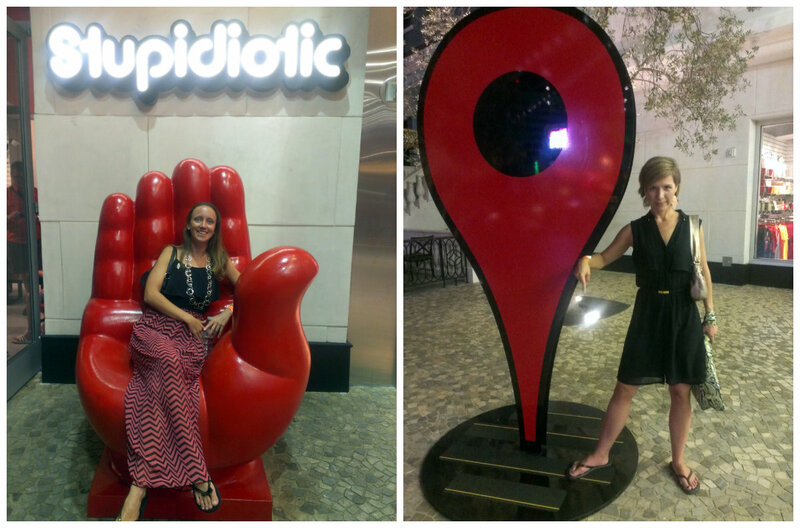 And that ended another fun day in the crazy and exciting city of Las Vegas!